Home > Acoustic Guitars & Guitars > National Reso-Phonic Guitars – Beauty and Tradition in a guitar! 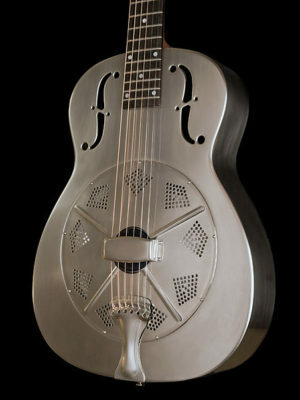 If you like resonator guitars then you will love California based National Reso-Phonic Guitars. I would love to own one, in fact my wife would love me to own one and that doesn’t happen very often. It must mean that the guitars made by National Reso-Phonic Guitars are amazing and I would like to bet that, one look at these beautiful guitars, and most of you will agree too! We have written an article explaining the workings of resonator guitars and you can read the full article here. But, in brief, a resonator guitar works differently to a normal acoustic guitar. A resonator guitar produces sound by conducting the vibrations from the string through the bridge to one or more spun metal cones. Rather than the top sound board of the guitar creating the sound it is the resonator that creates the sound. 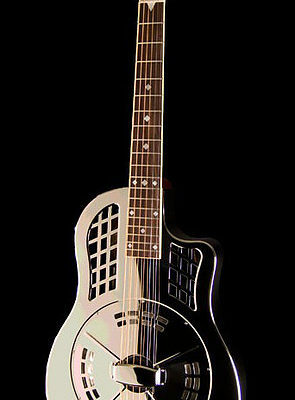 Resonator guitars were initially designed to make the acoustic guitar louder. The problem guitar players had, before the advent of the electric guitar, was simple, you just couldn’t hear them. The big band music of the time meant that the humble acoustic guitar was just not loud enough and was always being overwhelmed by the other instruments in the band. Now as we all know the guitar is the most important instrument in a band so not being heard was a big problem! 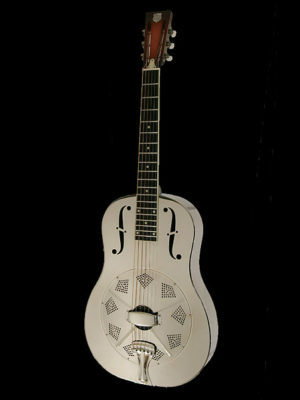 The unique design of the resonator guitar was such that the volume was greatly increased so a big pat on the back for a job well done. But with the appearance of the electric guitar you could imagine that resonator guitars would go the way of the Dodo! However, the guitars were prized for their very distinctive tone, as well as stunning looks, and have become synonymous with blues and bluegrass music. So thankfully the resonator guitar lives on as a justifiably celebrated guitar type. This brings us very nicely to National Reso-Phonic Guitars. 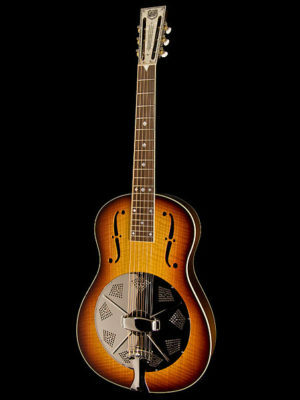 As fans of resonator guitars will know the National brand was and is, along with Dobro, the name in resonator guitars. 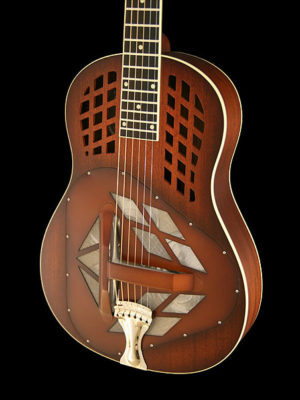 The original National String Instrument Corporation started making the first resonator guitars back in 1927. 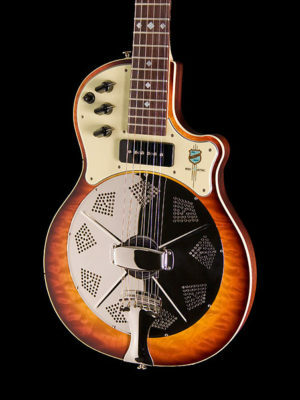 But, according to Bob Brozman the authority on all things National, there were no National resonator guitars produced between 1942 and 1989 when Don Young and McGregor Gaines founded National Reso-Phonic Guitars. They started making their first resonator guitars by measuring old resonator instruments of all makes and designs. Armed with their measurements they then reverse engineered their own resonator guitar. From humble beginnings in a California garage they moved to a factory in San Luis Obispo and have been sited there ever since. The founders are no longer associated with the company having been bought out by Eric Smith in 2014. Now, I have not been lucky enough to get hold of one to play but I am told that the new Nationals are every bit as good as, if not better than, a vintage National. But as the pictures below will demonstrate they certainly have not lost anything in the looks department. These are truly stunning guitars and there are even electrics if you are so inclined. To find out more about National Reso-Phonic Guitars check out their website.